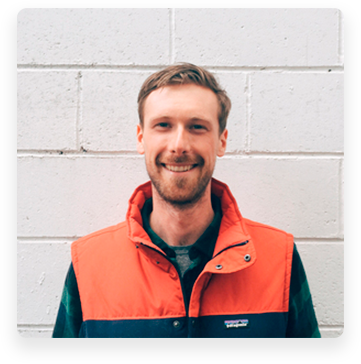 Boost user acquisition and retention by letting your users talk to each other inside of your app. 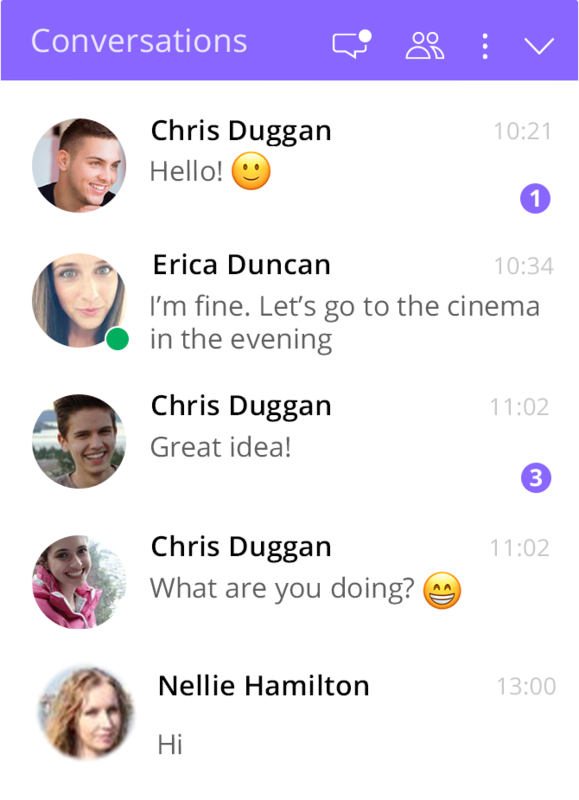 Building messaging into your application is expensive and time consuming. 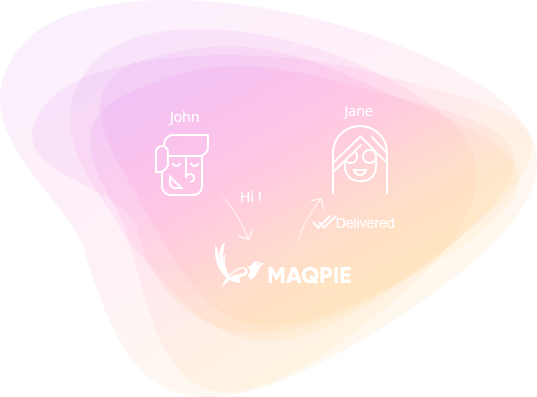 Maqpie makes it easy and affordable. Our products make your users more efficient by reducing the time they spend emailing and on external communication platforms. This results in a 29% increase in user retention and increases the value of your application. Let your user talk, share documents and any files, answer and ask questions from any page and in the context of your application. 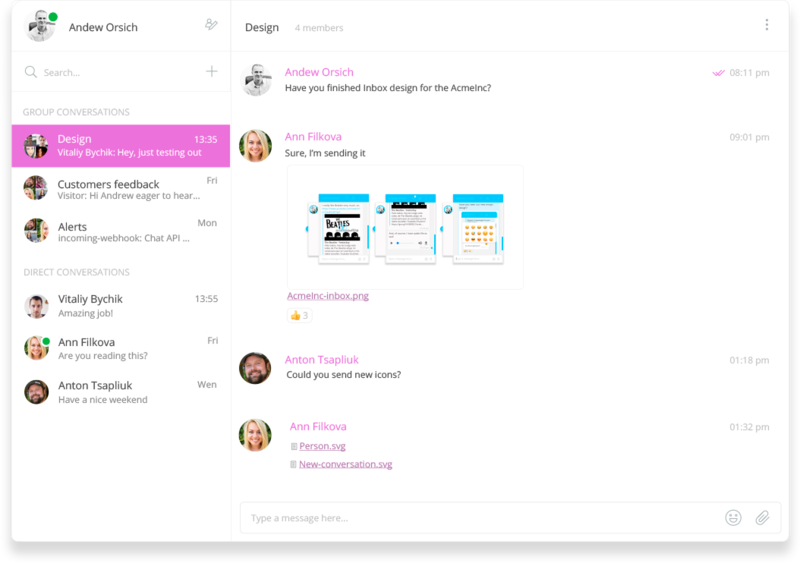 Embed a full-screen messenger as a page into your application. 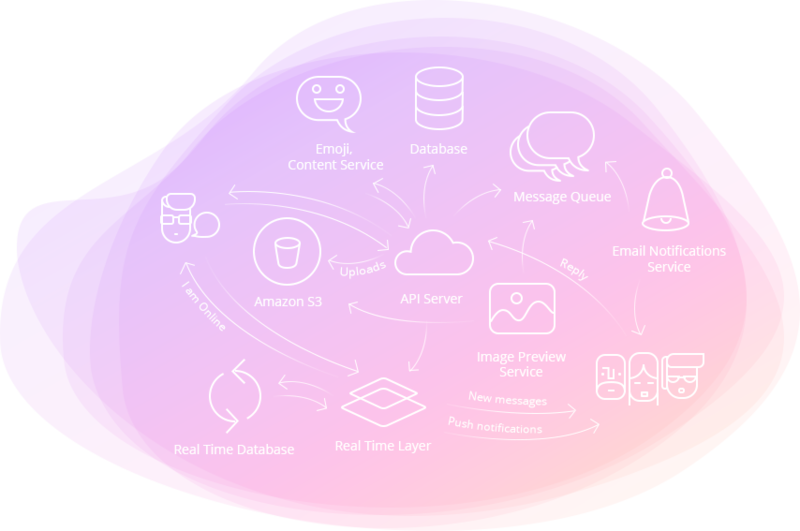 Send system messages and notifications in one place. 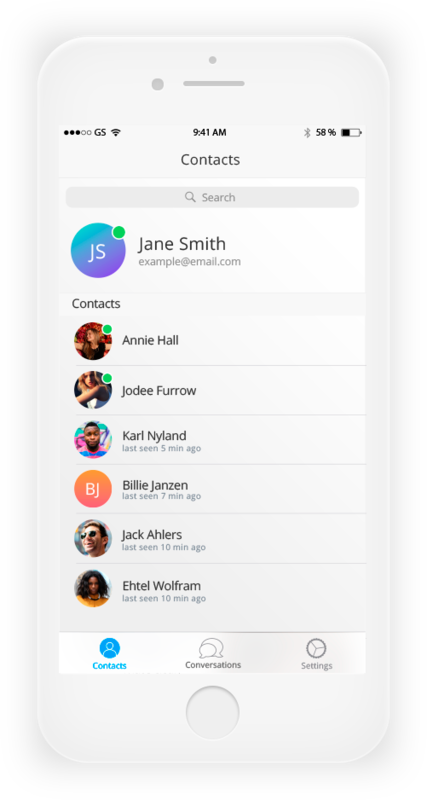 Let your users talk as they go, invite any external workers and allow them to connect with users of your application. Be up and running in minutes without development at all. 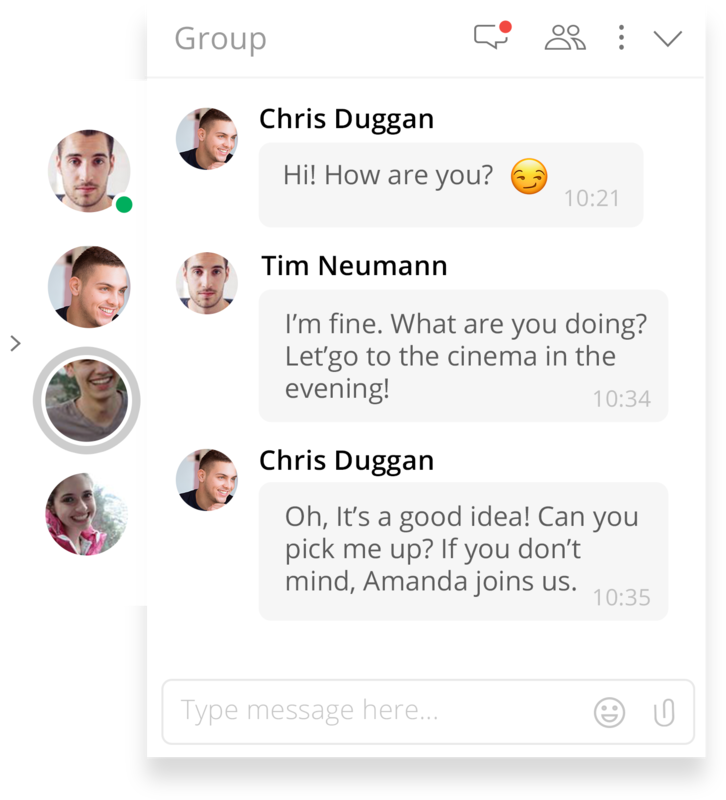 We needed to launch an in-app chat feature quickly to secure a new customer. After evaluating the alternatives, Maqpie was clearly the best choice. 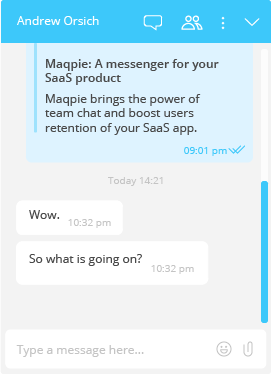 We've been impressed with the easy of use, the responsiveness of the Maqpie team, and the consistent improvements to the chat experience.